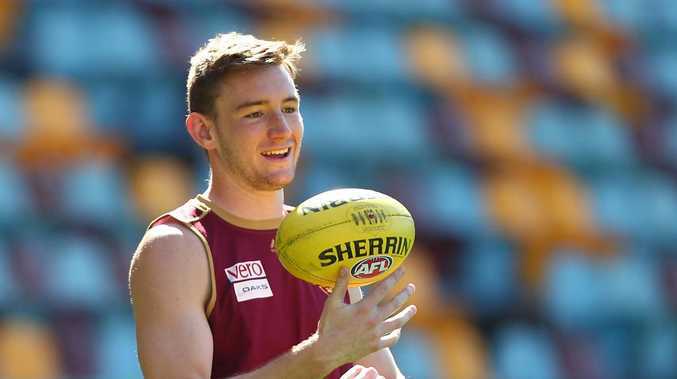 BRISBANE Lions coach Chris Fagan has backed Harris Andrews to renew his charge towards All-Australian selection when he makes his AFL return next week. Andrews won't feature for the Lions in Saturday night's clash with Adelaide, but Fagan confirmed he had received the green light for their trip to Geelong the following round. The 21-year-old key defender has missed Brisbane's run of three consecutive wins due to a severe concussion after copping an ugly hit from star GWS forward Jeremy Cameron. "He is keen to get back involved," Fagan told reporters on Friday. "He's been one of the mainstays of the team … a really terrific young player in All-Australian form I reckon, before he got hurt. "Hopefully he can get back and resume that and challenge for a spot in that team by the end of the year. "It is a little bit disappointing for him that he's missed out but he's such a team man, he's very happy for his teammates and very excited to see what we've been able to do." Fagan said there were no ongoing concerns around vice-captain Andrews, who suffered a small bleed on his brain from the incident. The AFL Tribunal subsequently banned Giants spearhead Cameron for five matches. "He was a bit sick and sorry the first week or two," Fagan said. "But he's made steady improvements since that point in time and the protocols around concussion testing are so thorough now that he wouldn't be getting the tick off if he wasn't all clear. "You can see in his mood and his level of optimism and energy that he's back to his normal self. "He can now start doing some contact work and he'll be available for selection next week."